Bucerías, the Wind Capital of the Riviera Nayarit, presented its new icon on Father’s Day at the Plaza del Viento. Its final placement will be taking place shortly. 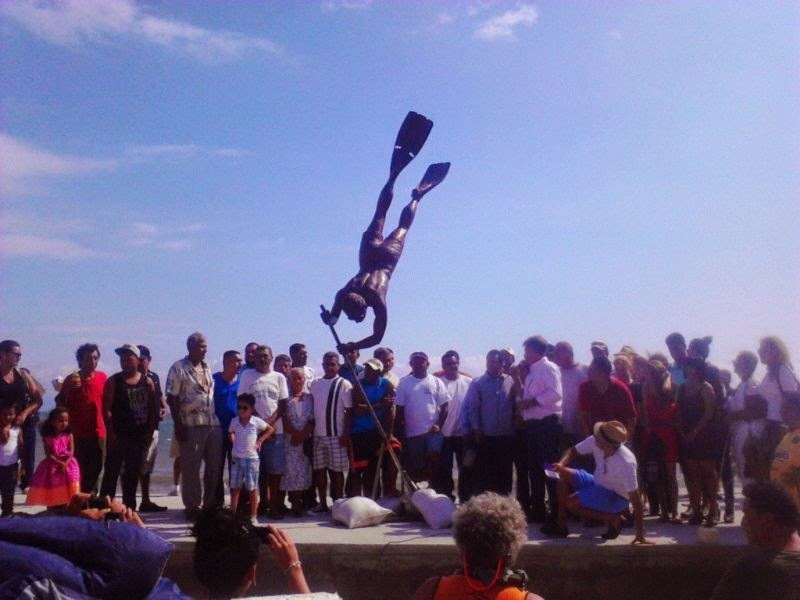 Father’s Day at Bucerías, the Wind Capital of the Riviera Nayarit, was celebrated with the unveiling of the so-called “Diver’s Statue.” This monument was created to honor local divers and it’s set to become an icon for the community. Sculptor Octavio González Gutiérrez, a native of Jalisco, created this artwork out of stainless steel with bronze finishes in collaboration with local sculptor Luis Armando Solorio. It’s seven meters tall and cost approximately $200 thousand Mexican pesos. The artists donated a large part of the cost of the statue as a charitable gesture in order to benefit the community. The Riviera Nayarit Association of Restaurant Owners collaborated with other groups in the area to create a committee to raise the funds to cover the rest. The Plaza del Viento will be the statue’s new home, which will be placed permanently within the next few days, pending a permit from the Ministry of Environment and Natural Resources (SEMARNAT by its acronym in Spanish). This, according to Manuel Venegas, president of the Plaza del Viento Public Works Committee, who explained they must wait for the “green light” in order to excavate a hole in the new boardwalk to deposit the statue. The sculpture is the figure of a man diving to dislodge an oyster with a bar. 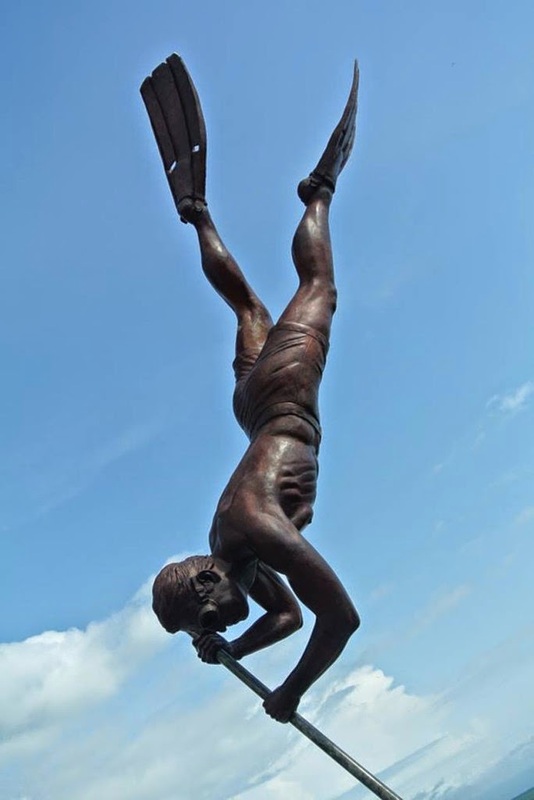 The face of the statue was fashioned after that of Ramón Barraza, in order to pay homage to this famous local diver who collected for oysters for 40 years. The mural Nuestra Bahía y su Origen (Our Bay and its Origin), by local painter Ramón Carrillo, was also unveiled during this event; the artist was inspired by the history of Banderas Bay in the creation of his piece. The mural is located across from the Plaza del Viento along the fence of the Oliverio Vargas school; it’s nearly 20 meters long and will surely become another attraction for this coastal town. Bucerías intends to keep our local history alive, which is the reason behind this multilateral endeavor that also seeks to mark the beginning of a new and prosperous era.